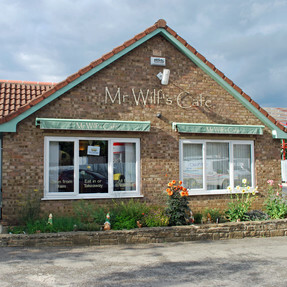 Mr Wilf's Cafe, Pickering, Fully accessible with parking. 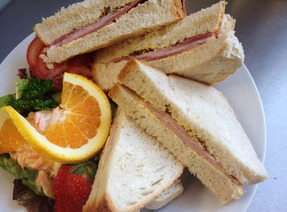 Mr Wilf’s Café is run by the Wilf Ward Family Trust, a local charity supporting people with a disability. We are a fully accessible café with onsite parking, outdoor seating and a Changing Places facility for adults and children. We are based in the centre of Pickering, opposite the Lidl supermarket. We open Monday – Friday, 9am till 2pm except Bank Holidays but with some weekend opening for special events such as the Pickering War Weekend. If you are unsure then please call to check opening hours. We can be very busy during lunchtime so if you plan to visit us around this time, it is recommended that you book a table in advance. teas as well as a selection of cold drinks. With a friendly and relaxed atmosphere, we are a popular haunt for locals and visitors alike. 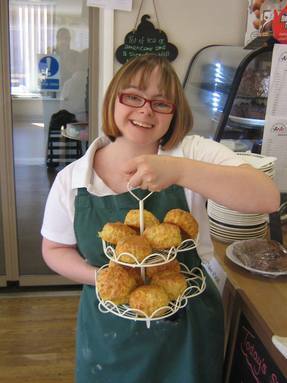 As well as serving great food, we provide real work experience and training for people with disabilities. Trainees work at Mr Wilf’s Café for approximately 18 months before progressing to employment with several national recognised qualifications. If you want more information before your visit then please look on the website, TripAdvisor or our Facebook and Twitter pages. Alternatively, call us on 01751 471741, we would be happy to answer any questions!